Smartphones, tablets, and TVs all have OLED display options available with plenty of vibrance and accurate color reproduction. Desktop monitors with OLED panels have been an idea for several years now, but none have been truly successful products. Going into 2019, Japanese Display, Sony, and Panasonic are working together to produce OLED displays for desktop monitors. Dell was one of the first to introduce an OLED monitor, the Ultrasharp UP3017Q. It launched in 2016, but was then pulled before a limited US-only second release in 2017. Asus was promoting the Proart PQ22UC for professionals at CES 2018, but has still not put it on sale. At a trade fair in Japan, the JOLED consortium was showing three different panels that meet the specifications of desktop monitors. There is a 21.6-inch Full HD panel, a 21.6-inch 4K panel, and a 27-inch 4K display. 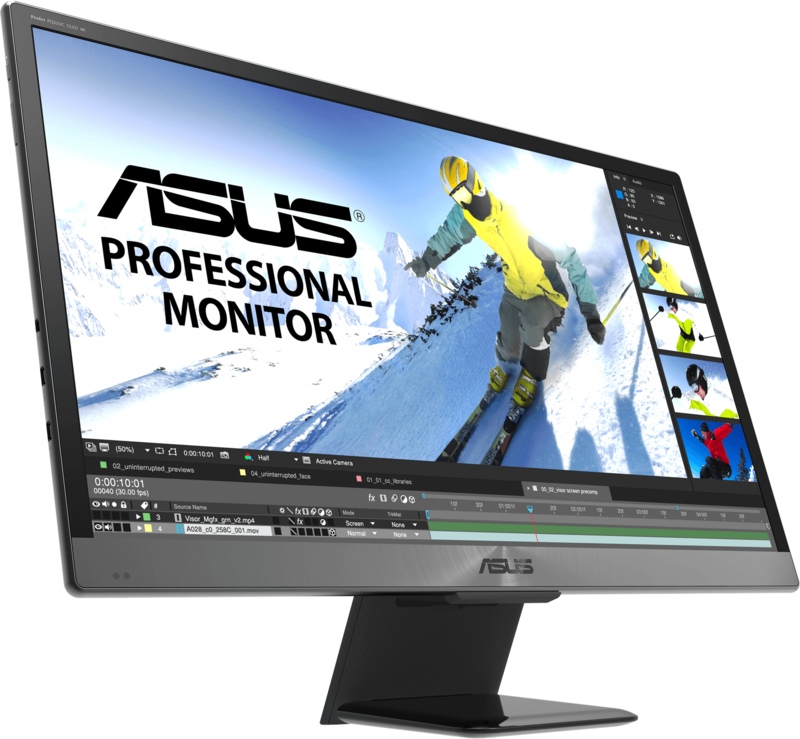 Asus is using the 21.6-inch 4K variant in its Proart PQ22UC monitor, which is said to be arriving "soon". 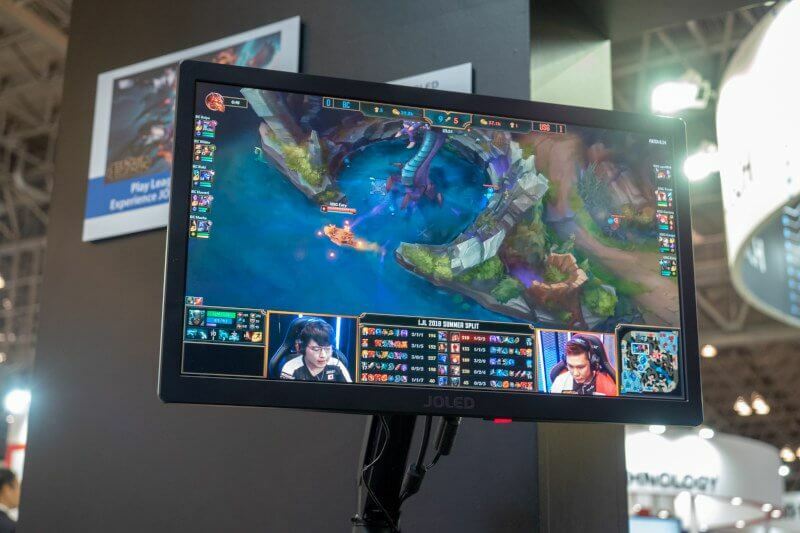 JOLED has been working with Japanese eSports team Burning Core to tune the Full HD panel explicitly for gaming. One of the benefits of OLED panels is extremely low response times. Dell's attempt at OLED claimed a 0.1ms response time, so TN panels will likely be bested by JOLED's technology. For those interested in adopting a nice OLED monitor for far superior color to TN panels, you will probably reconsider after looking at the price tag. JOLED's new panels are expected to end up in monitors costing thousands of dollars for the near term. However, this is only the beginning of a new display technology. Production lines for 21.6-inch OLED panels have been running since December 2017 at low volume, but a newer generation manufacturing facility will come online by 2020. 32 inch, 4K, 144Hz, G-Sync/FreeSync HDR OLED for the price of less than two kidneys? Reehahs, Lurker101, deemon and 3 others like this. Big reason why I didn't go with oled is because of the screen burn in. For $2000+, I would like my TV and monitors to last more than a few years. I recall a survey saying that up to 30% or so oled owners have this problem. I STRONGLY disagree. I have been frustrated by image quality ever since I gave up my CRT. My dream display is a 46 inch 4k OLED. I'm currently using a Samsung 65" 4k QLED. It was open box at Best buy and that out it into the 55" price category. Anyway, as someone who has a thorn in his arse over image quality, the difference is gigantic. Not having to turn the lights off in my room to edit images on a properly calobrated display would be a godsend. Although I have such a good eye for color I can calibrate most displays by eye. Reehahs, senketsu and Sikirash like this. OLED is a huge improvement. Evernessince, senketsu and Sikirash like this. I recall a survey saying that up to 30% or so oled owners have this problem. I'd say 70% of people are clueless morons when it comes to tech. Watch a variety of content and don't play the same game for hours upon hours without breaks and you won't get burn in. Technology should conform to our lifestyles, not the other way around. I love the OLED display on my smartphone, but in the coming years, I think MicroLED is going to make OLED obsolete when it comes to TV displays and PC monitors where static content is more prevalent. Oh extremely low response times? So that damn motion blur will finally be gone??? Maybe, maybe not. MicroLED will have to compete with inkjet printed OLED. I do not know the relative costs of each process, however, my bet is that inkjet printed OLED will cost substantially less than MicroLED to produce. There is a little more detail on the JOLED monitors here - https://www.oled-info.com/joled-show-new-printed-oled-monitors-and-tv-prototypes-finetech-japan This article also includes some info on their inkjet printed efforts - including showing a 55" inkjet printed OLED TV at a recent show. Just asian marketing bs & squarely aimed at the 15 year old kiddies. It's for glaitz at tha size (lulz). Plus, the gaming world is long past 21 in inch PC displays. My damn CRT was 22". Motion blur is only present in monitors with a backlight. OLEDs do not have a backlight. OLEDs are a huge step up in dynamic range and are able to display much blacker colors. The response time is really the cherry on the cake. If cost like LG oled TV, do not want. That's all well and good, but wouldn't you have to have an OLED display already to see what one looks like in the video. <Notice I didn't end that sentence with a question mark. ...[ ]...OLEDs are a huge step up in dynamic range and are able to display much blacker colors. The response time is really the cherry on the cake. "Production lines for 21.6-inch OLED panels have been running since December 2017 at low volume, but a newer generation manufacturing facility will come online by 2020". Who in god's name even wants a 22" monitor? Newegg blows that crap out at as low as $80.00, and yes, those are IPS. Let alone trying to find a graphics pro being stupid enough too pay top dollar for an OLED version. Even 24" is pushing it, I cannot go on anything lower than 27" but that might be because I've been spoiled by large monitors and resolutions. Maybe for gaming? But even then, lot of competitive games favor UWides. Kerodon and yRaz like this. As someone that codes, I'd gladly pay two grand not to shine what amounts to an old headlight into my eyes from 18 inches away for 8 hours a day a few days a week. Call me crazy. I'd call you boastful and about as prosaic as an article in Reader's Digest, but I could change my assessment to "crazy", if that would please you. BTW, did you know that today's CCFL & LED panels have adjustments for tint, color saturation, contrast, and, last but not least color temperature? An "old headlight", is probably less than 3000 degrees Kelvin. so you'll want to set your current panels to about 5600 K (That's "film daylight". It gives much less eyestrain than the 6500 K settings. They're way too blue for long term viewing). As far as I can tell those all flash and there is still light coming at you from the entire screen rather than just the text. If I can sit a candle on my desk and have my oled panel sit nicely, I'll do it. Maybe the two of you could share a bottle of wine, after you set the mood of course. I've been here for quite a while. And every so ofter we have someone passing through that ca see "flash" or what I'm going to interpret as framing. Never mind tyhe fact that commercial movies are only 24 FPS, and persistence of vision prevents you from seeing the frames change. Some people are just very, very special in the sensory department, and it appears you're one of them. With that said, you can buy those nasty flashing monitors with 100% of the RGB color space, and in excess of 85% of Adobe RGB. It boggles the mind to think people have gotten by with those for years, doesn't it? Ah the price of progress! Who in god's name even wants a 22" monitor? I think they will figure that out pretty quickly. With the fact that JOLED's monitors are inkjet printed AND they are also showing a 55" inkjet printed OLED TV, I don't doubt that larger OLED monitors are not all that far off. Also, I'd be all on board for MicroLED since OLED cannot presently equal the brightness nor is there any burn-in with MicroLED, except for the fact that inkjet OLED is going to be very cost competitive. Samsung is claiming they will release a MicroLED TV in 2019 - https://www.oled-info.com/samsung-says-it-will-release-consumer-micro-led-tv-2019 No word on price, but I cannot imagine it will be inexpensive; I imagine it will be the premium of premium TVs.